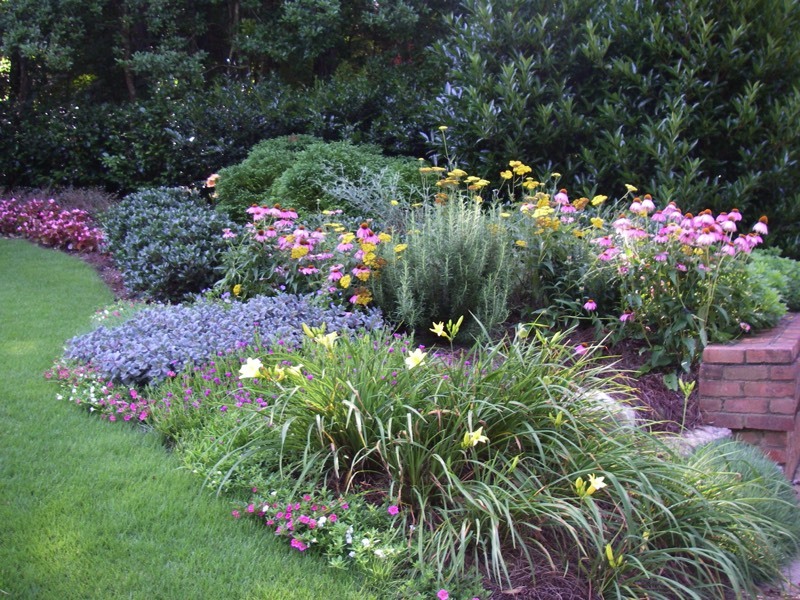 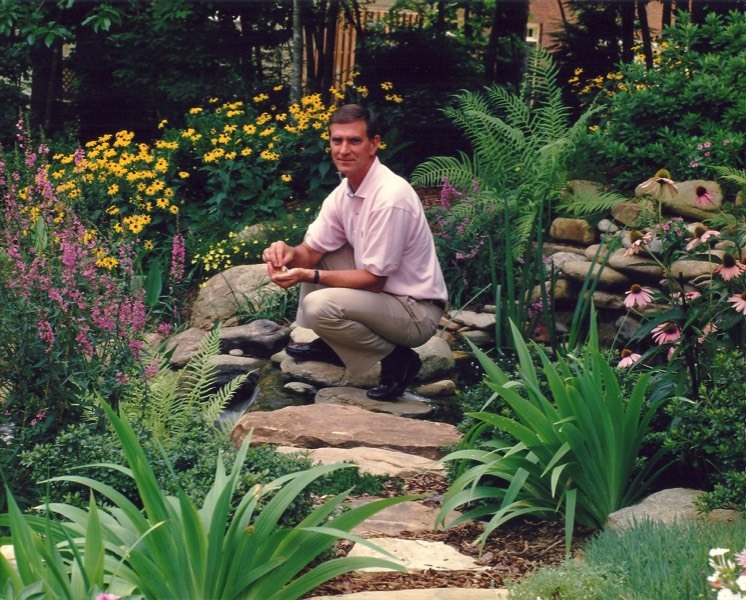 On most of our projects, the perennials are mixed with shrubs. 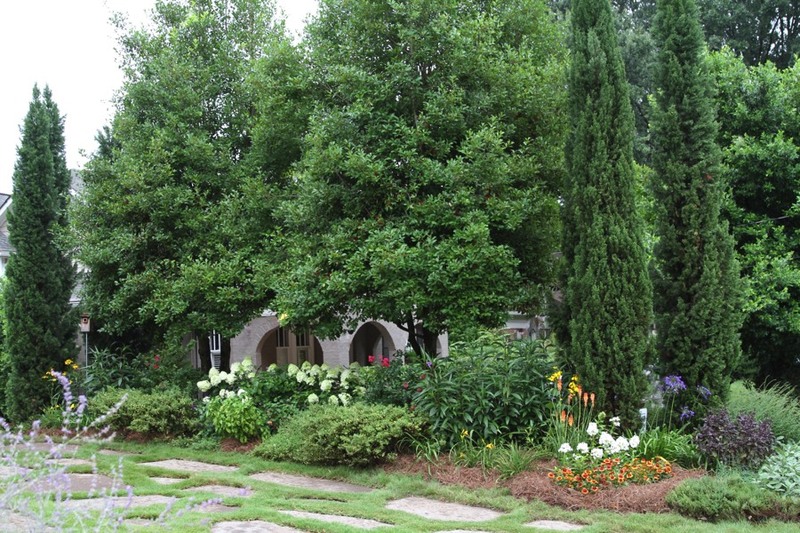 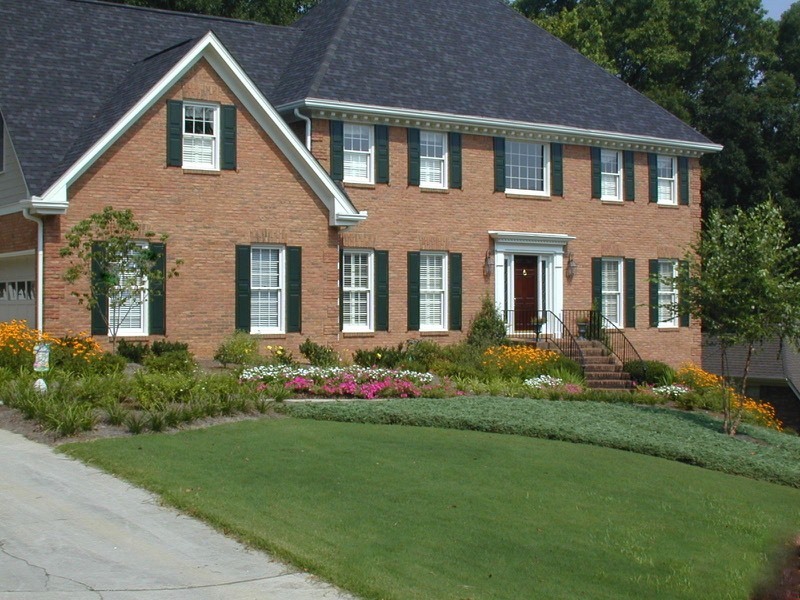 The flowering shrubs provide foliage and balance to the design year round. 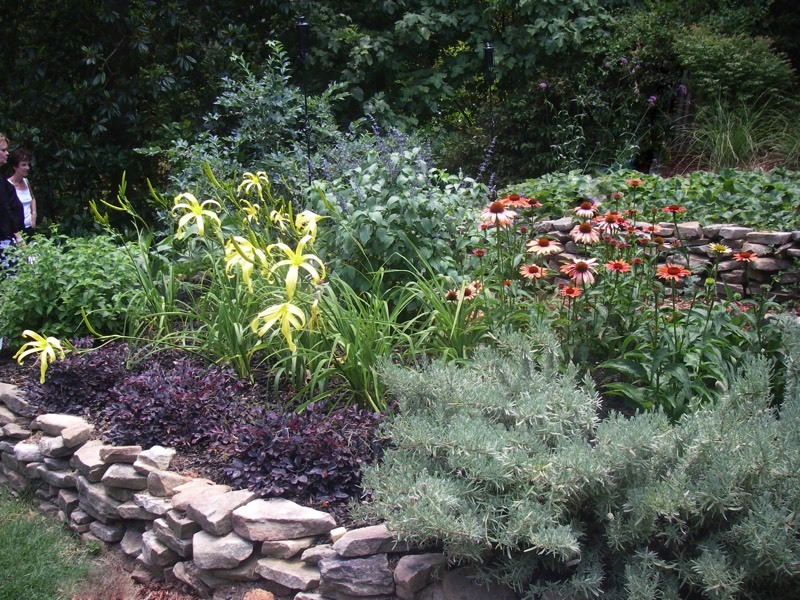 The perennials add lush texture contrast. 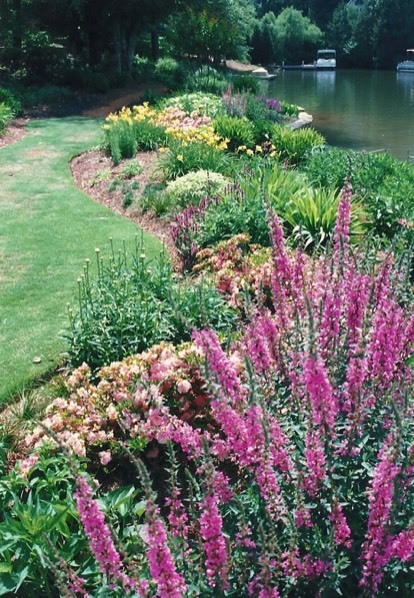 We also do traditional stand-alone perennial gardens such as a clipped formal border, cottage garden along a picket fence or a large drift down a hill. 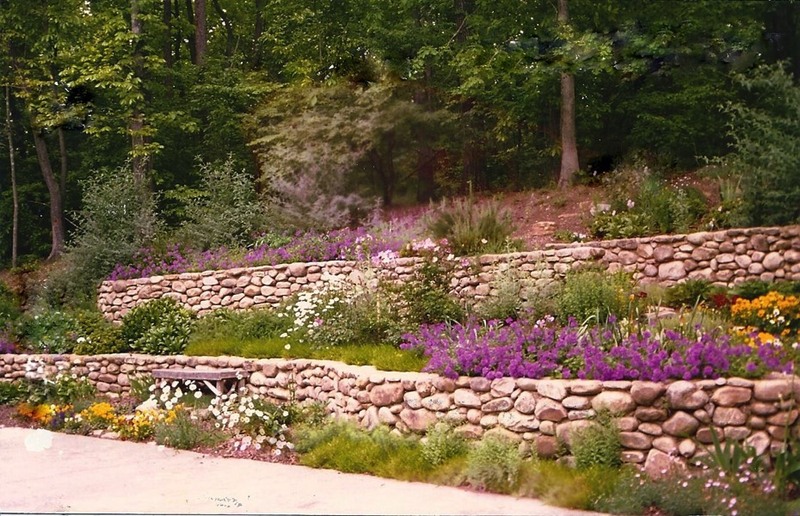 Whether you want curb appeal, a focal point, or a place to putter, we’ll work with you to create the perfect perennial garden. 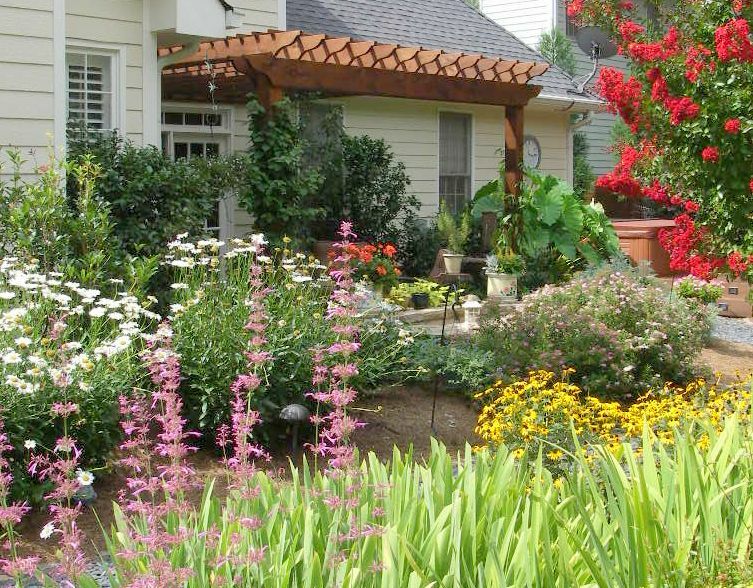 We also love incorporating plants with beautiful berries & interesting branches for those interested in having a cutting garden for making arrangements. 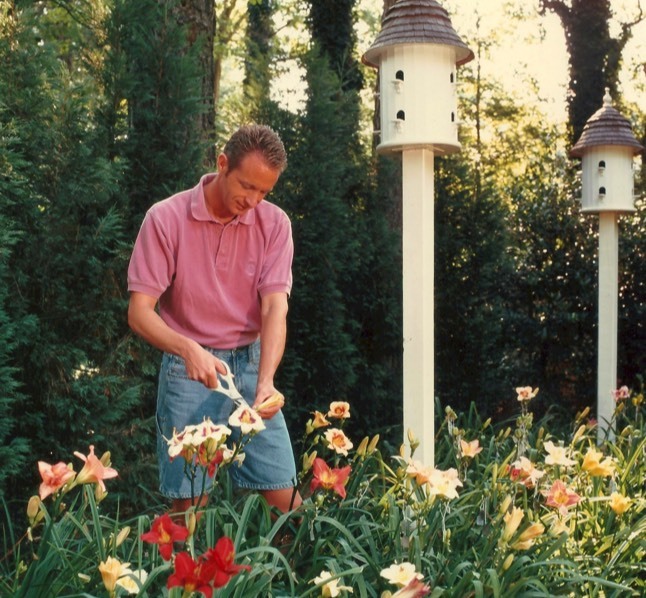 Let us know if you also want fragrance or to attract a certain bird or butterfly species. 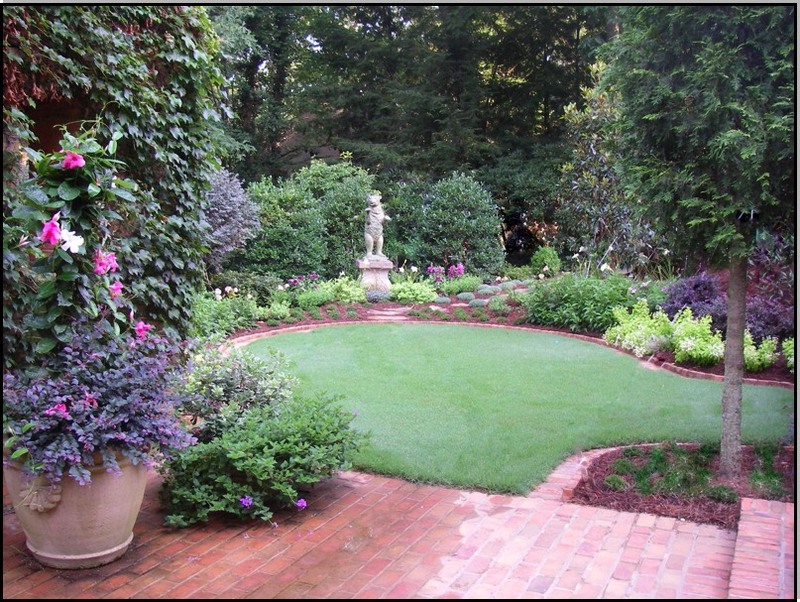 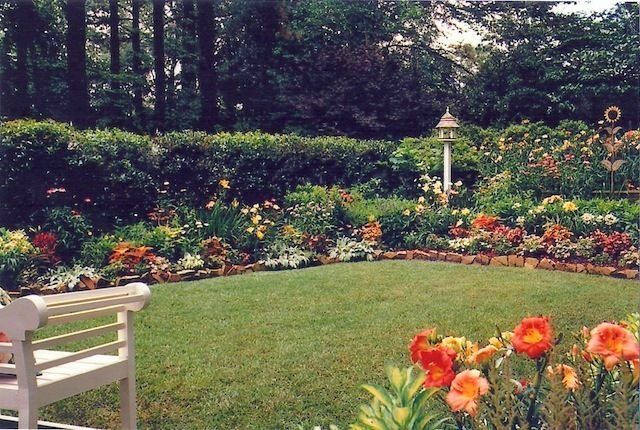 We know what to use to make this your perfect sanctuary garden! 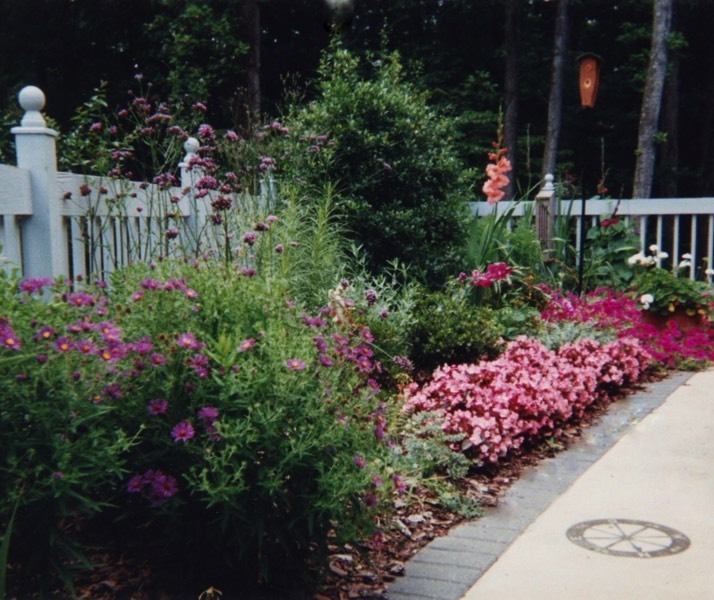 Be sure to also see our “Butterfly Gardens, Wildlife Habitats”.
. 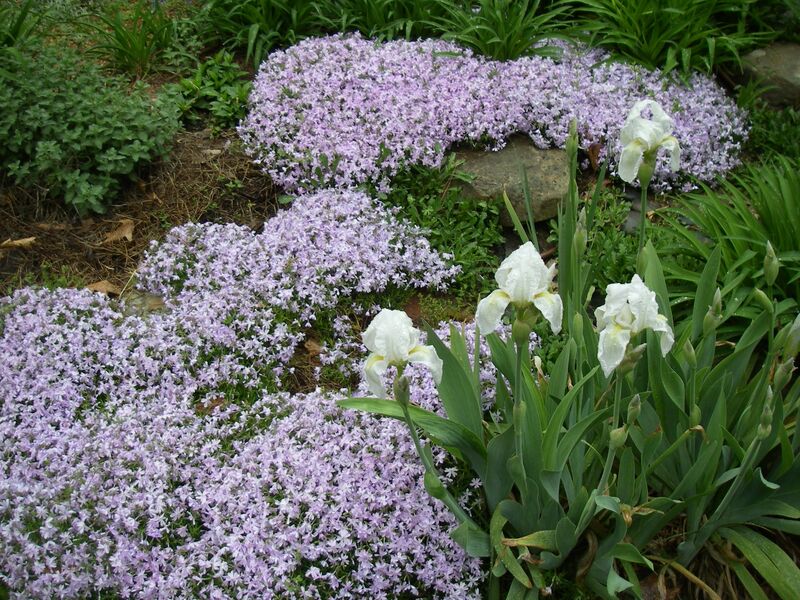 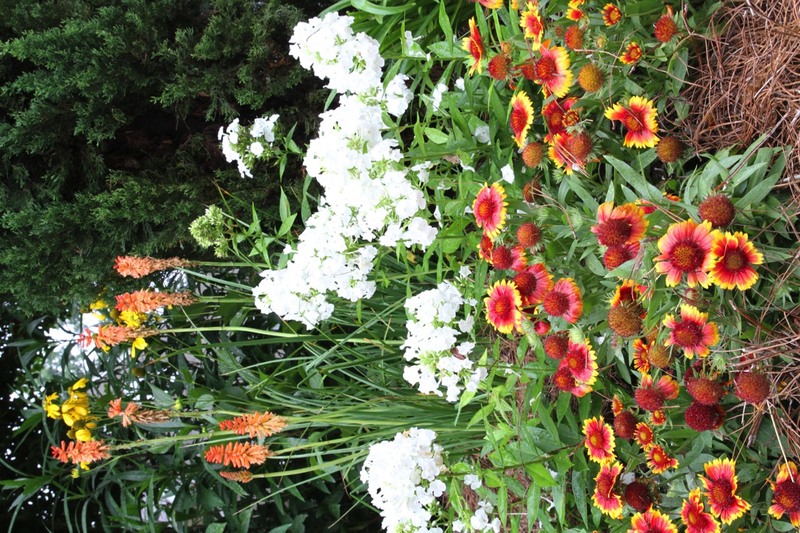 Your perennial garden can be as simple as a white garden or a mix of any colors that thrill you. 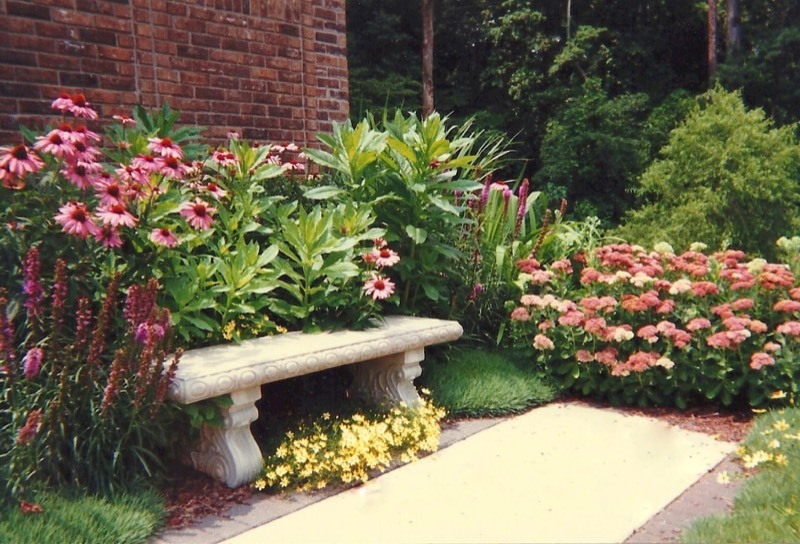 Imagine a cool color palette in shades of pink or the bold warm colors that are found in a summer perennial garden room. 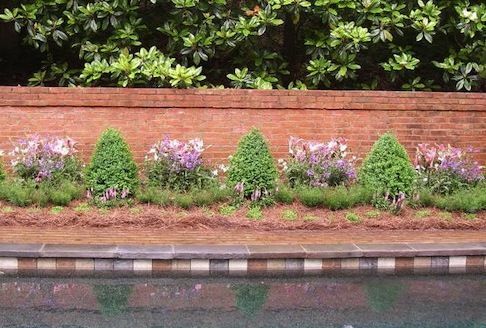 Maybe your preference would be no flowers, choosing instead a drought tolerant border of chartreuse foliage.